"It’s not the size of the dog in the fight, but the size of the fight in the dog." 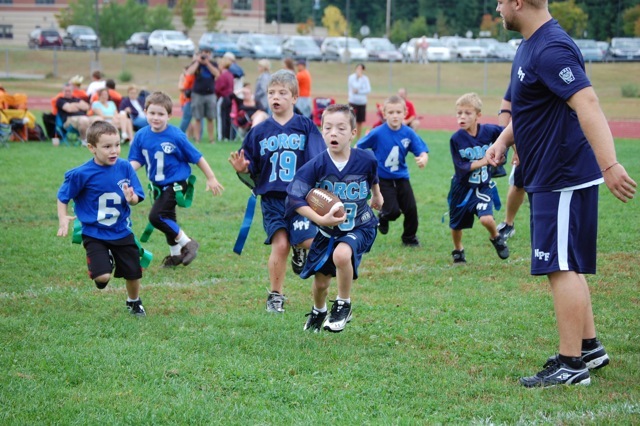 Welcome to the Nashua PAL FORCE FLAG FOOTBALL program. We are excited to build on our inaugural season of 2010. We will start by building our foundation with our returning veterans from our past season and increase our competitiveness by gaining some new recruits for the upcoming season. 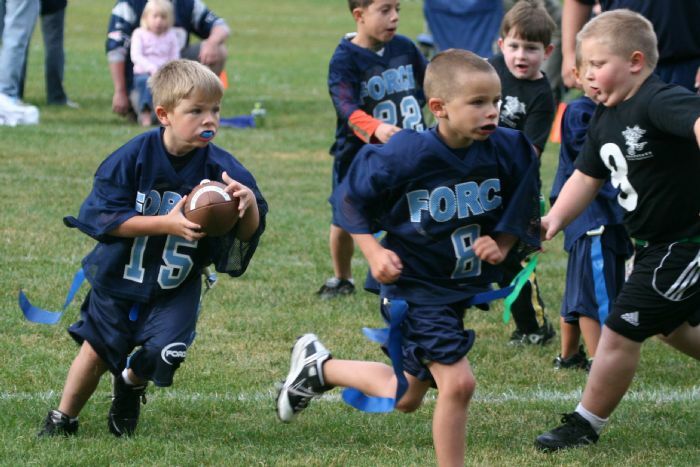 The NPF FLAG FOOTBALL Program has been a tremendous success and is a great way to introduce your child to football. This program's start date is typically two weeks after tackle football's start date. Games are held Sunday mornings. Start time is typically 8am or 9am. Puts the FUN in Fundamentals! Younger Players – Smaller Teams – Fun & Safe. 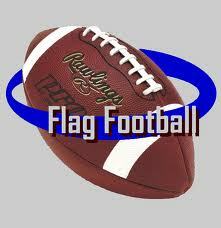 FLAG FOOTBALL is a FUN and SAFE way to get introduced to the great game of football and kick off your football career!!! The PLAYERS ages 5 to 7 will be introduced to the football basics in a non-hitting environment. The players focus on learning and developing all the basic fundamental skills need to play the game including: running, passing, catching, scripted-plays, lining up and teamwork. 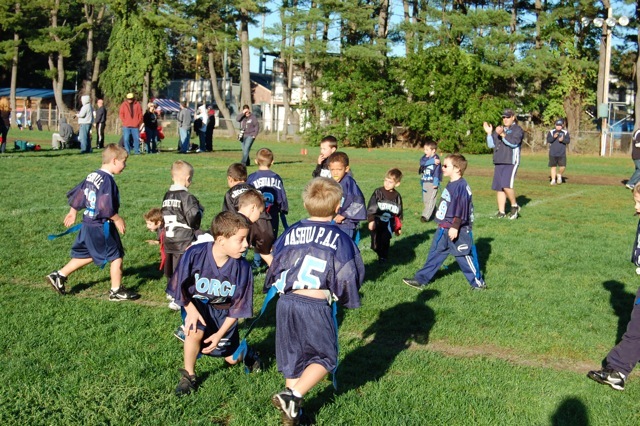 The TEAMS consist of 8 players on the field (rather than 11 for tackle football) with the coaches coaching on the field shoulder-to-shoulder with the young players. The FIELD is played on the width of a regular football field 53.3 yards by 30 yards. The GAME consists of two 25-minute running halves with two first down markers 20 yards apart. The offense runs plays from their 6 play arsenal with players rotating all positions while wearing their flags. The defense tries to stop the offense by simply grabbing the flags of the player with the ball.